An apostille is attached to a notarized original document or a certified recorded instrument. 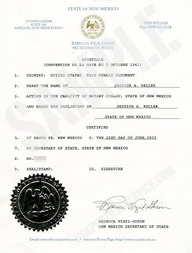 For documents that are notarized, the apostille verifies that the person who notarized the document was appointed to a notary public commission in New Mexico at the time of the notarization. 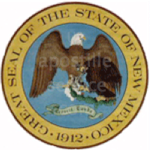 For certified recorded instruments issued by government agencies, the apostille verifies that the person who certified the document was an appointed or elected official in New Mexico at the time of the certification.